This Decree guides the implementation of the Construction Law regarding the formulation, evaluation and approval of investment projects on the construction of works; the implementation of investment projects on the construction of works; and capability conditions of organizations and individuals engaged in construction activities. The formulation, evaluation and approval of investment projects on the construction of works funded with official development assistance (ODA) comply with the laws on construction and ODA management and use. - Projects funded with capital of other sources, including private capital or capital of mixed sources. 2. Investment in the construction of works must be in line with the socio-economic development master plan, branch plannings or construction plannings, ensure security, social and environmental safety, and comply with the land law and other relevant laws. c/ For projects funded with capital of other sources, including private capital, investors shall decide by themselves on forms and contents of project management. For projects funded with capital of mixed sources, capital contributors shall reach agreement on methods of management, or manage these projects under regulations applicable to the capital source which accounts for the highest percentage (%) in the total investment. 4. For projects or group-A projects of national importance consisting of different component projects, if each component project can be independently operated or implemented in different investment phases, it may be managed and implemented like an independent project. The investment decider may decide on the division of a project into component projects. 1. For state budget-funded projects, their investors shall be decided by investment deciders in accordance with the State Budget Law before formulating investment projects on the construction of works. b/ For projects in which investment is decided by ministers, heads of ministerial-level agencies or presidents of People's Committees at all levels, their investors may be managers or users of works. c/ In case investors cannot be identified under Point b of this Clause, investment deciders may authorize other eligible units to act as investors or may concurrently act as investors. 2. For credit-funded projects, borrowers may act as investors. 3. For projects funded with capital of other sources, investors may be owners of capital or representatives as prescribed by law. 1. Projects with state capital accounting for over 50% of their total investment are subject to investment supervision and assessment. For projects funded with capital of other sources, the investment supervision and assessment shall be decided by investment deciders. c/ Identification, through investment supervision and assessment, of problems, and adjustment of projects and submission of proposals or recommendations to competent authorities for handling to ensure the project efficiency and feasibility. b/ The Ministry of Planning and Investment shall guide the investment supervision and assessment of projects; synthesize the investment supervision and assessment situation nationwide and periodically report thereon to the Prime Minister. 1. For projects of national importance, investors must make investment reports on the construction of works and submit them to the National Assembly for consideration of and decision on investment policies. For other projects, investors are not required to make investment reports. d/ The form of investment, initial projection of the total investment, the project implementation duration, the capital-raising plan according to implementation schedule, the project's socio-economic benefits, and investment phases, if any. b/ Construction works which are people's individual houses as specified in Clause 5, Article 35 of the Construction Law. 2. A project is composed of explanations as specified in Article 7, and a basic design as specified in Article 8, of this Decree. 3. For projects not included in branch plannings already approved by competent authorities, before formulating investment projects on the construction of works, investors shall report them to line ministries or localities as decentralized for consideration and approval of planning supplementation according to their competence, or submit the planning supplementation to the Prime Minister for approval. The location and size of a work must conform with the approved construction planning. For a project not included in any construction planning, its location and size must be approved in writing by the provincial-level People's Committee, for group-A projects, or an agency with the planning competence, for projects of groups B and C. The time limit for considering and approving branch or construction planning compliance is 15 working days. 1. The investment necessity and objective; assessment of the market demand, sale of products, for production and business projects; product competitiveness; social impacts (if any) on the locality or region; the form of construction investment; the construction location and land use demand: conditions of the supply of raw materials, fuel and other input elements. 2. Description of the work's size and construction area, work items; analysis and selection of technical plans, technologies and capacity. d/ Implementation phases and schedules and the form of project management. 4. Assessment of environmental impacts, fire and explosion prevention and fighting measures, and security and defense requirements. 5. The project's total investment; the capital arrangement capacity, capital sources and the capacity to allocate capital according to implementation schedule; the capital repayment plan, for projects with capital recovery requirements, and analysis and assessment of the project's economic-financial and social benefits. 1. Basic design means a design made during the formulation of an investment project on the construction of works on the basis of the selected design plan, which must indicate major technical specifications conformable with applicable regulations and standards, as a basis for carrying out subsequent designing steps. A basic design consists of explanations and drawings. e/ A list of applicable major regulations and standards. d/ Drawings of the work's major structure plan, technical and technical infrastructure systems, connection to the region's technical infrastructure. 2. The project, comprising explanations and a basic design. 1. Investment deciders shall evaluate projects before approving them. In charge of project evaluation are professional units under investment-deciding authorities. Project evaluation units shall seek opinions of state management agencies on basic designs under Clause 6 of this Article and of other concerned agencies in order to evaluate projects. Investment deciders may hire consultants to verify a number or all of the contents specified in Clauses 1 and 2, Article 11 of this Decree. For projects of which investment decision has been decentralized or authorized, decentralized or authorized persons shall evaluate these projects. 2. The Prime Minister shall set up the State Council for Evaluation of Investment Projects to evaluate projects falling under his investment-deciding competence, and other projects, when finding it necessary. The Minister of Planning and Investment shall act as the chairman of the State Council for Evaluation of Investment Projects. b/ Provincial-level People's Committees shall evaluate projects falling under their investment-deciding competence. Provincial-level Planning and Investment Services shall take charge of project evaluation. District- or commune-level People's Committees shall evaluate projects falling under their investment-deciding competence. In charge of project evaluation are units with the budget plan-managing function under investment deciders. 4. Investment deciders may themselves evaluate other projects. 5. The evaluation of investment projects on the construction of specific works complies with the Government's Decree on management of investment in the construction of specific works. 6. The evaluation of a basic design shall be conducted simultaneously with but not separately from the evaluation of an investment project. b/ Provincial-level Services managing specialized construction works, for projects of groups B and C.
The Ministry of Construction shall issue a circular defining the competence and responsibility of the above agencies to give opinions on basic designs. d/ 20 working days, for group-C projects. 1. Examination of elements assuring the project efficiency, such as the necessity of investment; input elements; size, capacity, technologies, implementation duration and schedule; financial analysis, total investment, and socio-economic benefits. 2. Examination of elements assuring the project feasibility, such as compliance with planning: demands for use of land or natural resources (if any); ground clearance and capital-raising capabilities according to the project schedule; the investor's managerial experience: loan repayment ability; fire prevention and fighting measures; factors affecting the project, such as defense, security and environment, and other relevant regulations. dd/ Construction capability conditions of consultants or practicing capability of basic design makers as required. d/ Depending on local practical conditions, provincial-level People's Committee presidents shall assign district- or commune-level People's Committee presidents to decide on investment in projects funded with budgets of superior levels. 2. Investors shall themselves decide on investment in. and take responsibility for. Projects funded with capital of other sources or mixed sources. 3. Persons with the investment-deciding competence may issue investment decisions only when project evaluation results are available. Particularly for credit-funded projects, capital lenders shall, before competent persons issue investment decisions, appraise financial and debt payment plans before approving or disapproving the provision of loans. 4. A decision on investment in the construction a work shall be made according to a set form (not printed herein). 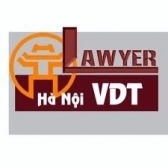 b/ Construction, renovation, repair or upgrading works capitalized at under VND 15 billion (excluding land use levies) in compliance with socio-economic development, branch or construction plannings. unless investment deciders require the formulation of investment projects. 2. Details of an econo-technical report on the construction of a work are specified in Clause 4, Article 35 of the Construction Law. 3. Persons with the investment-deciding competence defined in Article 12 of this Decree shall evaluate econo-technical reports on the construction of works and issue investment decisions. 4. Investors shall evaluate working drawing designs and cost estimates as a basis for investment deciders to approve econo-technical reports. d/ There are abnormal fluctuations in prices of raw materials, materials or fuel or in exchange rates with respect to foreign-currency capital amounts: or the State issues new regulations or policies to allow changes in construction investment prices. 2. When project adjustments result in changes in the project's location, size or objective or an increase in the approved total investment, investors shall report thereon to investment deciders for decision. When project adjustments result in neither changes in the project's location, size or objective nor an increase in the approved total investment, investors may themselves adjust the projects. Adjustments must be reevaluated. 3. Persons who decide on the adjustment of investment projects on the construction of works shall take responsibility before law for their decisions. 1. Holding contests to select architectural designs is encouraged for construction works subject to architectural requirements. 2. For large public works subject to specific architectural requirements, investment deciders shall decide on holding a contest to select or shall select optimum architectural design plans meeting requirements on urban beauty and landscape. 3. Authors of selected architectural design plans may have their author rights protected and may, if being fully capable as prescribed, choose to personally negotiate and sign contracts for formulating investment projects on the construction of works and making construction designs. If unable to do so, authors of architectural design plans may enter into partnerships with capable designing consultants in order to sign contracts with investors. If authors of selected architectural design plans refuse to formulate investment projects on the construction of works or to make construction designs, investors may select other contractors in accordance with law. 1. Designing for the construction of a work covers the following steps: basic designing, technical designing, working drawing designing and other designing steps according to international practice, as decided by the investment decider upon project approval. c/ A working drawing design must indicate all technical specifications and ensure that to-be-used materials and structural details are conformable with applicable regulations and standards, for the construction of works. a/ One-step designing means the working drawing designing applicable to works subject to the formulation of econo-technical reports only. In this case, basic designing, technical designing and working drawing designing steps may be combined into the working-drawing designing step. c/ Three-step designing involves the basic designing, technical designing and working-drawing designing steps applicable to works subject to project formulation. Depending on the complexity of works, investment deciders shall decide on three-step designing. In case of two-step or three-step designing, the subsequent-step designing must be conformable with the approved preceding-step designing. 3. Investors shall make designs for the construction of works. If capable, investors may themselves make these designs, if incapable, they shall hire consultants to do so. Particularly for three-step designing, construction contractors that are fully capable as prescribed may make working drawing designs. 1. A design dossier made for each work comprises design explanations, design drawings, relevant construction survey documents, the maintenance process, and cost estimates for work construction. 2. Design dossiers for the construction of works must be archived under the law on archives. - The observance of regulations on environment and fire prevention and fighting. Investors may hire consultants to verify a number or all of the above contents as a basis for evaluation. Verification results must be presented in writing. Working drawing designs must be certified with signatures of investors or their authorized representatives. Drawings must be appended with an "approval" stamp before being used for construction. Before approving working drawing designs, investors may hire construction supervision consultants to examine them and sign for certification in the drawings. a/ In case of two-step designing, investors shall evaluate and approve working drawing designs. In case of one-step designing, investors shall evaluate working drawing designs for investment deciders to approve them together with econo-technical reports on the construction of works. b/ Contents of the evaluation of working drawing designs are specified at Point a. Clause 1 of this Article. c/ The appending of stamps on drawings for certification before they are used for construction complies with Point b, Clause 1 of this Article.